When a dog turns on you, the results can be painful and lasting. Medical costs can pile up. Fortunately, Oklahoma laws provide remedies for dog bite victims when owners fail to control their pets. 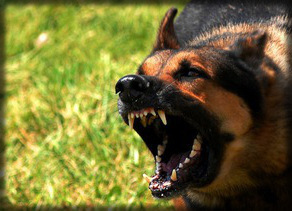 Owners must pay for damages caused by a dog that bites or injures someone without provocation, provided the person is rightfully on the property where the attack occurred and has not provoked the dog. Owners are obligated to keep their dogs under control in public places. 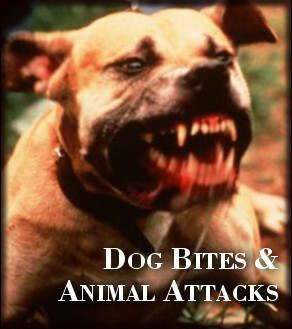 If an animal attack occurs in a public place, or on private property where the victim is invited as a guest, for business or entertainment, the victim may be entitled to compensation. A dog bite attorney can consult with you to find out if you are owed compensation for your injuries. Some professions particularly expose workers to risk of dog bite and animal attacks. Oklahoma dog bite laws are specific — postal workers, utility maintenance workers, meter readers and public safety workers whose duties require them to go on private property are entitled to damages if dog owners don’t control their dogs. If your job requires you to enter private property to perform public duties required by U.S. or Oklahoma laws, you may be entitled to compensation. If you’ve been bitten by a dog while doing your job, as a dog bite lawyer if you might be owed compensation. Call the Tulsa personal injury attorney at Wirth Law Office today for a free consultation at (918) 879-1681. Every minute, on average, someone is bitten by a dog. As many as one in 100 emergency room visits in the U.S. result from dog bites. Three out of every five injuries involves a child. The most severe injuries occur among children under the age of 10. Facial injuries are common, though service workers’ injuries are more frequent to the lower parts of the body. Pit Bulls have an especially bad reputation among dog bite lawyers — and the public — for a good reason. Pit bull attacks can be gruesome and often deadly. The U.S. Centers for Disease Control reports than pit bulls account for one third of all dog-bite fatalities, although only one in 50 dogs in the U.S. are identified as pit bulls. Oklahoma statutes require owners of domestic animals, including cattle, horses, pigs, sheep, goats, exotic livestock and all other animals not considered wild and not considered household pets to restrain their animals. The days when stampedes of loose cattle marauded through towns are long gone, but loose animals continue to damage private property when they are not restrained. If your property is damaged by an unrestrained domestic animal, you may be entitled to compensation under Oklahoma law. You may also be entitled to compensation if your neighbors animals graze on your land, eat your feed or you are hired to care for a neighbors domestic livestock and they don’t pay for the costs of keeping, boarding training or feeding their animals. If a marauding dog kills your livestock, you may be entitled to compensation. Oklahoma law provides some exemptions for livestock owners whose livestock is involved in inherently dangerous professional livestock activities, but the exemption doesn’t include injuries to spectators. 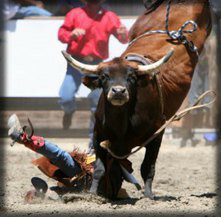 If you work as bull rider in rodeos, you know the risks and an injury might be your fault. Otherwise, there is seldom any reason you should pay for your medical costs when an animal attack is someone else’s fault. 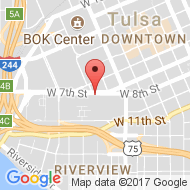 Contact the Tulsa dog bite lawyer to find out if you are entitled to compensation for damages caused by an animal attack. 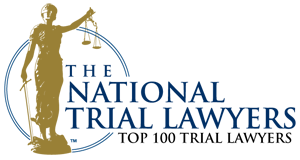 If you would like a free consultation with an Tulsa dog bite attorney, call the Wirth Law Office at (918) 879-1681 (or toll free at (888) Wirth-Law) or submit the question form at the top right of this page.